Vosso Hd Is Designed For The Caster Who Wants A Reel With More Weight Between The Hands For Improved Balance On Longer Rods And For Those Experienced Casters Who Enjoy That Extra Weight Lower Down To Ensure Full Use Of The Bottom Hand When Spey Casting. 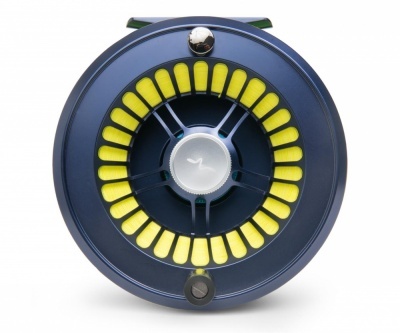 The Hd Features A Solid Backside Frame Design Which Definitely Brings The Reel A Classic Touch, While Maintaining All The Modern Features Of The Original Reel, Which Has Made It A True State- Of-The-Art Choice For Tough Fishing. These Reels Have Been Manufactured And Designed For The Most Demanding Usage; Fishing For Salmon, Seatrout, Steelhead And Tropical Species. These Are The Strongest And Most Advanced Reels In The Guideline Family. Vosso Combines A Striking Design With A Super Strong And Stable Construction. All Models Come With A Full Frame Housing To Prevent Shooting Line To Get Stuck Between Spool And Housing. The Carbon/Stainless Steel Drag System Is Rock Solid, Totally Unaffected By Outside Conditions Such As Temperature Change, Water, Moisture Or Dirt. The System Is Controlled By A Comfortable And Slightly Recessed, Large Drag Knob With A Large Field Of Adjustment For Perfect Fine Tuning Of The Drag, Eliminating The Risk Of Over-Adjusting In The Heat Of Battle. A Recessed Reel Foot Mounted On A Super Strong Truss-Bar Construction Brings The Reel Close To The Rod For Reduced Torque And Better Balance. The Line And Backing Capacity Is Very Generous, And The Reel Is Extremely Strong. Waterproof Drag System With High Drag Power. 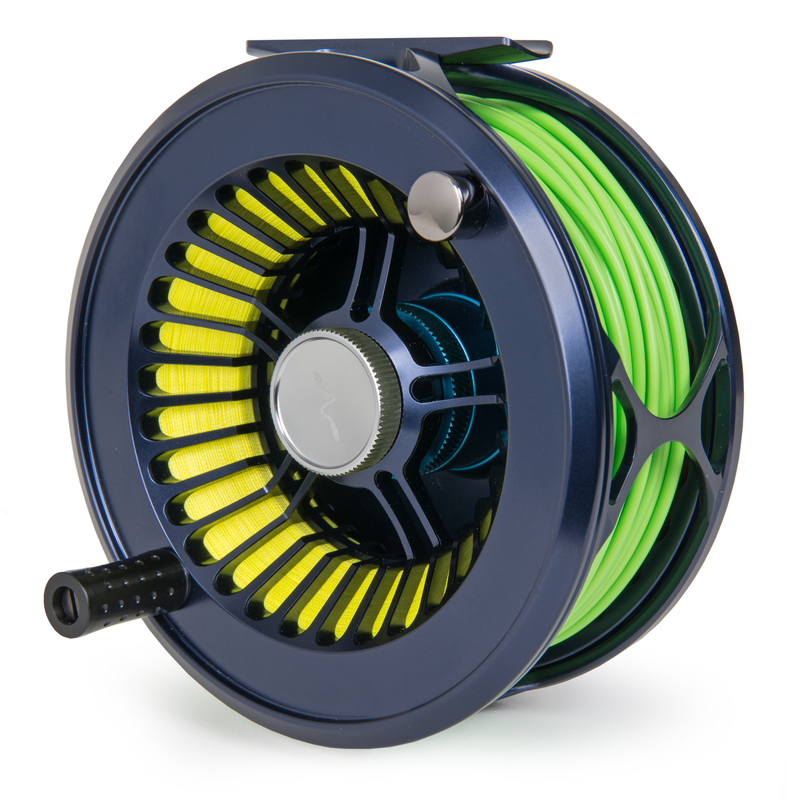 Glossy Dark Azur Reel With Blue Dragcylinder.